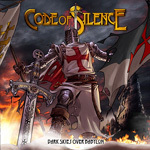 Code of Silence is the creation of Paul Logue, founder and bass player of Eden�s Curse, and friend James Murray. These two Scotsman had the idea to create a new melodic heavy metal band composed mostly of their country men. It almost worked out for them, three out of five ain't bad. Code of Silence:: not talking. Logue wrote the music and Murray contributed the lyrical themes (based upon history and legend of the Knights Templar), but also plays bass. They got Scots John Clelland and Scott McLean to play drums and keyboards, respectively. The two also pitched in on some songwriting. 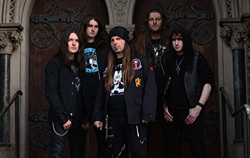 Logue and Murray turned to England for guitar, recruiting young prodigy Ben Randall, and to Brazil for the experience of vocalist Gus Monsanto (Revolution Renaissance, Takara, Adagio). Video:: Sky Is Falling Down (Official). 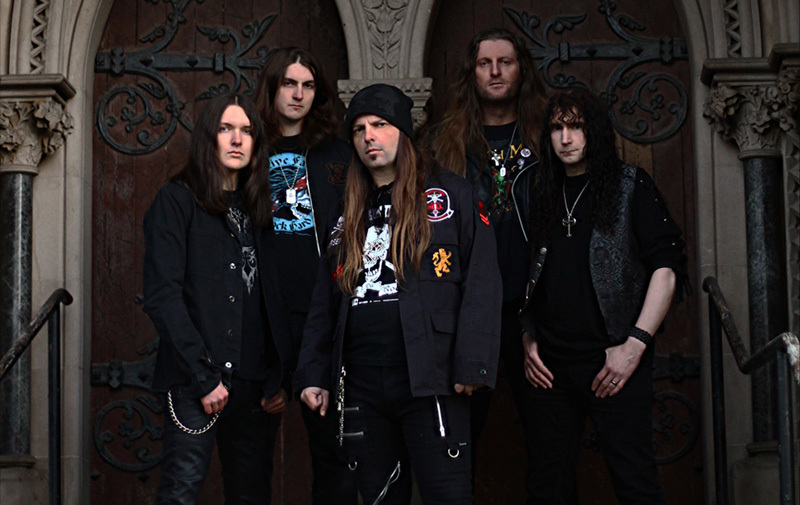 The result is a rather stellar Dark Skies Over Babylon, 11 songs of classic melodic heavy/power metal. If you like the sound and direction of Eden's Curse, then Code of Silence will be right in your comfort zone. In other words, there's a perfect combination of heaviness, melody, hooks, and rock groove. Along side these things is very strong song composition, artfully merging the arrangement with every instrument. You'll hear these strengths the notable songs Dark Skies Over Babylon, Black Abyss, and Here to Heaven. For the some of that aforementioned hearty hooks and groove look to Sky Is Falling Down and Witches of November. Alternatively, Tame the Tempest may also have some slight prog metal nuances and Knights of the Crimson Cross delivers straight power metal. Fundamentally then, Dark Skies Over Babylon is a well-crafted and entertaining record of traditional melodic metal. Quite recommended. Fundamentally, Dark Skies Over Babylon is a well-crafted and entertaining record of traditional melodic heavy metal from a crew of very talented fellows. Quite recommended.